On the outskirts of Spokane's Central Business District lies a scattering of brick warehouses littered with the fading signs of a different era, including one advertising the Fairmont Creamery and Cold Storage. Most of the buildings in this section of Spokane were businesses that sprang up in the early 1900s for the close proximity to the railroads. Many of these businesses dealt with the production and sale of perishable goods, relying on the rail lines to keep goods both cool and fresh. Many of these warehouses not only housed imported goods, they also relied heavily on ice to keep their goods cold. 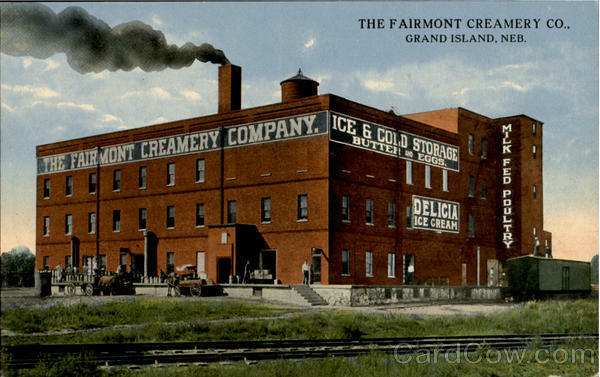 Fairmont Creamery was a national company out of Omaha, Nebraska, that played an important part in Spokane's local economy. The office of the creamery occupied the suite at 116 W. Pacific from 1912 to 1937, but used the warehouses of Northwestern Cold Storage Co. Inc., later changed to Arctic Cold Storage and Warehouse Co. In the early days, residents of Spokane would subscribe to a creamery much like a newspaper. Creameries would hire salesmen to peddle their product door to door to sign up households for weekly or daily deliveries. Milk, cream and butter were delivered to the doorstep by the milk truck and a milkman. Though it seems like a large step from the udder to the front door, the cream actually originated from a local source. 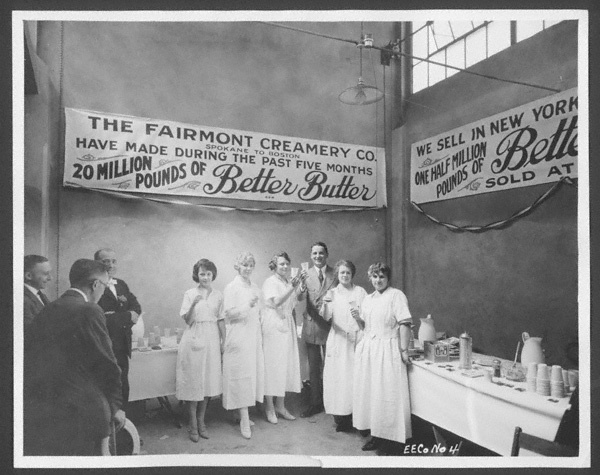 The Fairmont Creamery paid for cream by the pound from resident farms and dairy herds on the outskirts of the city and tested it at Wilson Produce in Colville before shipping it into Spokane in refrigerated cars on the Great Northern Railroad. By the 1920's produce companies were making weekly shipments to the creamery. Wilson Produce was shipping an average 17,575 pounds of cream a week. It takes about five gallons of cream to make two pounds of butter. Farms and dairies would store excess butter to use in times of economic distress because it was the most profitable farm product and unlike milk, it could be stored. During the Great Depression cheese and butter were rare commodities sold on the black market and were often targets of theft. Butter has always been associated with wealth not only because it was expensive to make, but also due to a supposed spiritual value imparted by its prominence in the bible. The United States government was also aware of its value since butter was the first defined food, before the Food, Drug and Cosmetic Act of 1938. Fairmont Postcard from Nebraska: Headquartered in Nebraska, Fairmont was a national company. 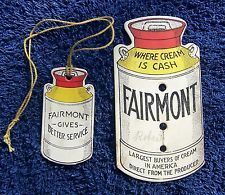 Buyer's Tokens: Though a national company, Fairmont sourced its products locally and regionally. These tokens urged farmers to sell their milk and butter. 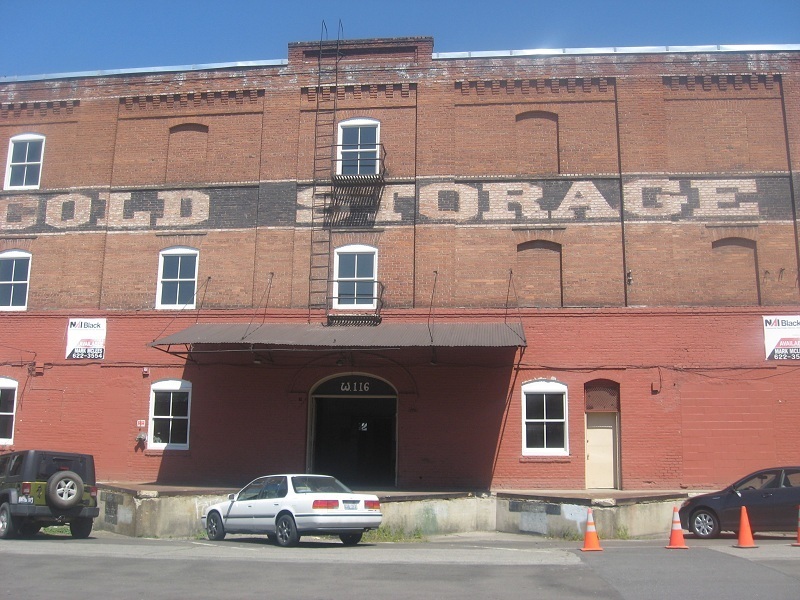 Erin Pulley, “Fairmont Creamery and Cold Storage,” Spokane Historical, accessed April 20, 2019, https://spokanehistorical.org/items/show/344. Colville Examiner (June 11, 1921); Colville Examiner, "Great Northern Traffic and Passenger Notes," (Jan. 7, 1922); Rome Tribune-Herald, "Better Butter," (Nov. 25. 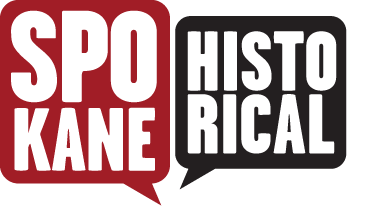 1913); Spokane Daily Chronicle, "Dairy Products Demand Growing," (Nov. 25, 1921); Janet Jeffries Spencer, "'To make a Good Product Better': The Fairmont Creamery Company, 1884-1984, Nebraska History 65 (1984): 387-394.